KnitMesh Technologies mesh covered elastomer core gaskets are used widely on electronic enclosures where there is a seam unevenness and where low closure forces are required. The compilable central core of the gasket takes up these divides and ensures excellent continuity between the mating surfaces. Because the central core does not allow a compression set, mesh covered elastomer core gaskets are particularly useful where panels and doors are frequently opened or assembled and disassembled. They are suitable for fixing by groove mounting, where they are held in place by sidewall friction. Some rectangular sections, where double-sided tape can be applied to the gasket itself, can be fixed using adhesive spots. The best shielding effectiveness is achieved when the gasket is compressed by 25-35% of its nominal height. It should be noted that dimensions given in our Data Centre are for mesh covered elastomer core gaskets only and that approximately 0.44mm should be added for each mesh layer. 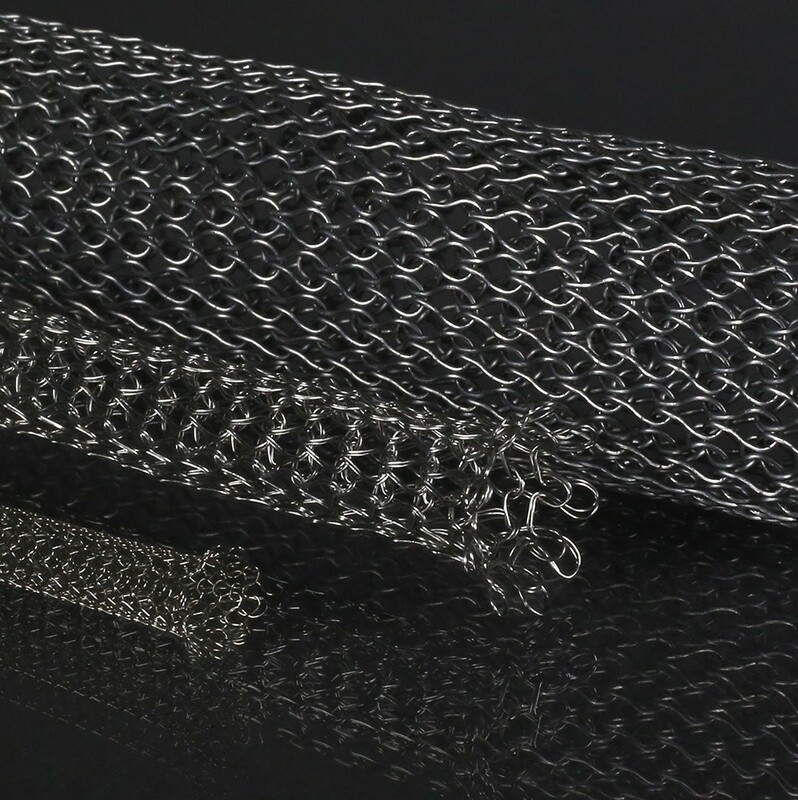 KnitMesh Technologies mesh covered elastomer core EMI shielding gaskets are produced by knitting mesh covers over a central elastomer core. A single cover of mesh is sufficient where only a moderate degree of shielding effectiveness is required, however a double cover is recommended for higher levels of attenuation. More layers of mesh can be added if required, but there are only limited benefits for more than two layers.